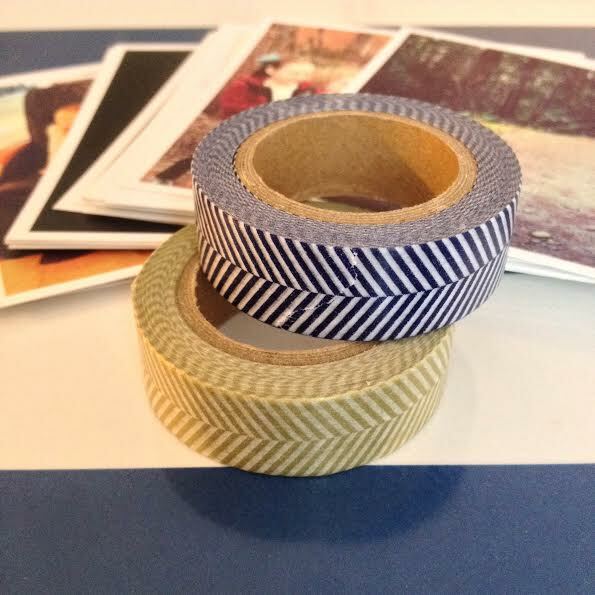 Remember when I forced you to choose a washi tape for us to use on our office’s Instagram photo wall? Well, you didn’t like either of the choices — gold or navy — but I was too anxious to get the photos on the wall, so I grabbed the gold tape and went to work, thinking that I could easily switch it out when I finally decided on something better… But, we all know how this story ends, don’t we? All of these weeks later, it’s still up, with the gold washi tape, and I love it. The washi tape is holding pretty well on the painted wall. I do go over it from time-to-time and rub my thumb over the tape to keep it secure. I don’t think it will hold forever, but maybe we’ll be ready to switch up the pictures by then anyways. As you can see, we still have some work to do on that office wall. I have a few more family photos to add and I’d love to add some graphic artwork, too (maybe like this Pinterest inspiration?). 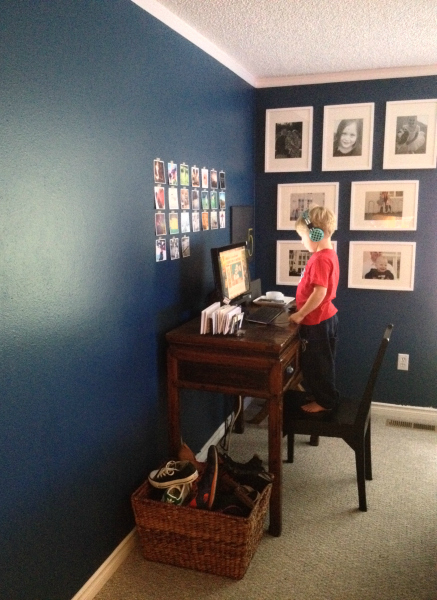 I’m still dreaming of a long desk space that runs along the entire wall, with room for both Josh and I to have work space, as well as a spot for the girls to sit and work on homework, but, for now, this works well enough. Did I convince you that the gold washi tape looks okay against the navy wall? Or are you hating me for it? Be honest. I can take it. This entry was posted in Office Space, The House on Fremont Street and tagged Instagram, Our Office Space, The House on Fremont Street, Washi Tape on October 13, 2014 by Katie Kavulla. We have this big, blank wall in our little office space in our house, which sits in the living room. It’s not big and Josh is the one who mainly uses it, as that desk is a little high for me and I usually set up camp with my laptop somewhere else in the house. Down the road, I have dreams of something like this for our office space, where the kids can sit to do homework and where I can have a more permanent work space, but until then, this works for us and it’s pretty low on the priority list for The House on Fremont Street. 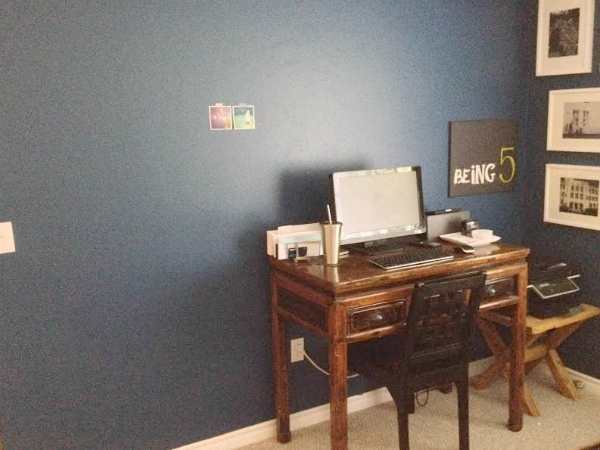 I still can’t find the picture that inspired me, but when we first moved in, I saw a wall, somewhere (Pinterest? Instagram?) where they’d simply used washi tape to hang their printed Instagram pictures on the wall. It was easy, but cool and I loved that I could keep adding Instagram pictures as I took them, and/or change them out as new favorites popped up. So, I printed some Instagram pictures from my account… and then they sat there. For a couple of months. I’ve been having a hard time deciding on which washi tape I should use to hang them. I finally bit the bullet and ordered a couple from Etsy (the navy and the gold, both from Beve by Lauren Fish), but I’m still on the fence about how I feel. Maybe the pattern isn’t bold enough? I’ll be sure to update you when we’ve hung them on the wall. It’s going to take some measuring and some straight line action, which means I’ll need Josh’s help. Obviously. I can’t see a straight line if it smacked me in the face. This entry was posted in Office Space, The House on Fremont Street and tagged 2014, Etsy, Instagram, Our Office Space, Printstagram, The House on Fremont Street, Washi Tape on August 14, 2014 by Katie Kavulla. I had pinned this a few months ago on Pinterest (you can see the pin here) and once I finally clicked through to the original post, I realized that it was from Seattle-based Modern Parents Messy Kids, a site that I love. Keeping track of those little moments, when you’re a family, is priceless and although I’ve tried many, many, MANY methods in the past, I’ve never found one that stuck. I love this box because it literally takes less than a minute to scribble down a memory, a funny quote or an exciting announcement from our day on the card. Having the predated cards keeps me accountable to not skip a day and I keep the box with the cards on my dresser, where I see it before I go to bed each night as a reminder to jot something down. Lastly, I love that this moves from year-to-year with our family. I can’t wait to get a full-year into writing down these daily memories and look back to see what we were doing last year as a family. A few more rolls of washi tape from Target. In Bellingham, they’re along the side wall, by the stationary. You can get by with just one roll, if you’re on a budget. 1 Ultra fine-tipped Sharpie. 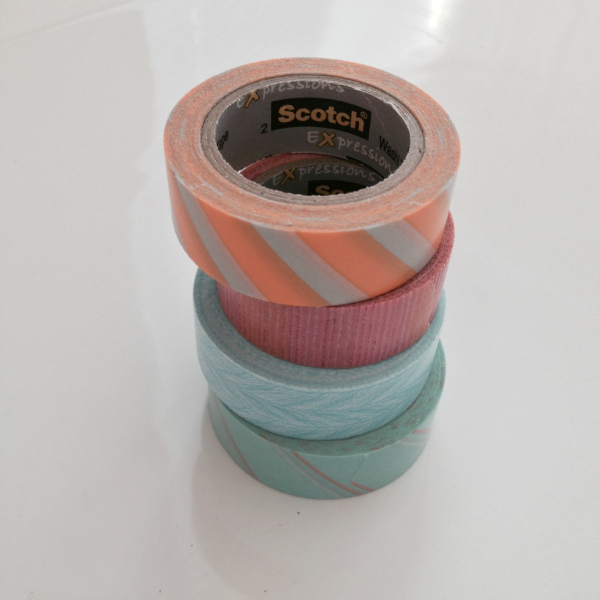 I live by these and it works well to write on the washi tape. I bought a pack of four at Target, but you just need one. 1 4×6 plain wood box from Micheal’s. These were in the far back left-hand corner of the store. This one cost about $5. The total cost was less than $15. Once you have everything you need, assembly is pretty quick. 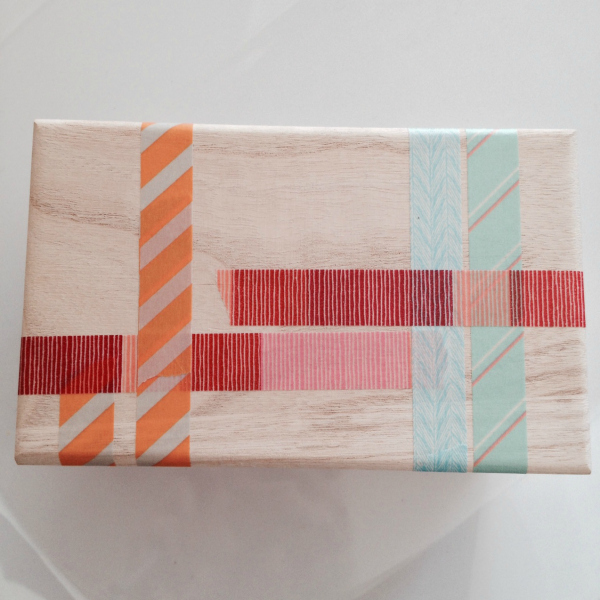 One: Apply the washi tape to the index cards. Two: Write the dates on the cards. This is where that heavenly Sharpie comes in handy. It doesn’t matter that you’re not starting at the beginning of the year, because you’ll build on the memories as the years go by. 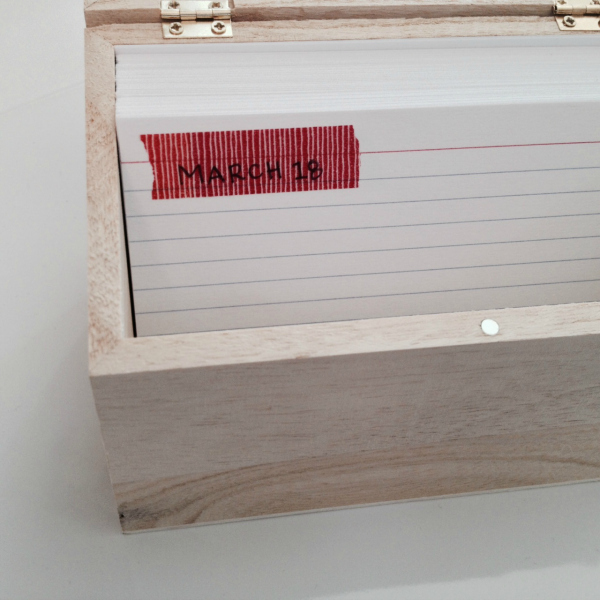 Remember: Only write the date, not the year, on your washi. For example: Write March 20, not March 20, 2014. I used the same washi tapes that I used on the cards to decorate mine and I chose not to decorate the whole thing… yet. I think it will be fun to add a bit each year. You could also easily paint your box or have your kids paint or decorate it. Go crazy! Four: Get the cards in the box. I have today’s card on the front of the stack, then I’ll rotate it to the back of the box after I write today’s memory. The inside of the box is a bit rough and I may eventually paint the interior to make it smoother… and cuter. Five: Start making and writing down those memories. So far, the memories I’m writing on the cards are all over the place. Some are funny things that the kids have said (Meg: “It’s snowing! I think we should get donuts to celebrate!”). Some are exciting memories for our family that I want to remember, for the future (Janie’s first day of soccer practice). But, most are just little notes about what we did that day (Went to the movies with some of our fave neighbors) or tiny snippets about life in our family (Snow day… again.) Once you get going, you’ll get in your own groove for what works for your own memory-keeping style. As you can see on the post from Modern Parents Messy Kids, they also incorporated daily pictures, which they printed on that super cool printer (hello. i want that thing!) and stuck them on the back of each card. That’s so smart! 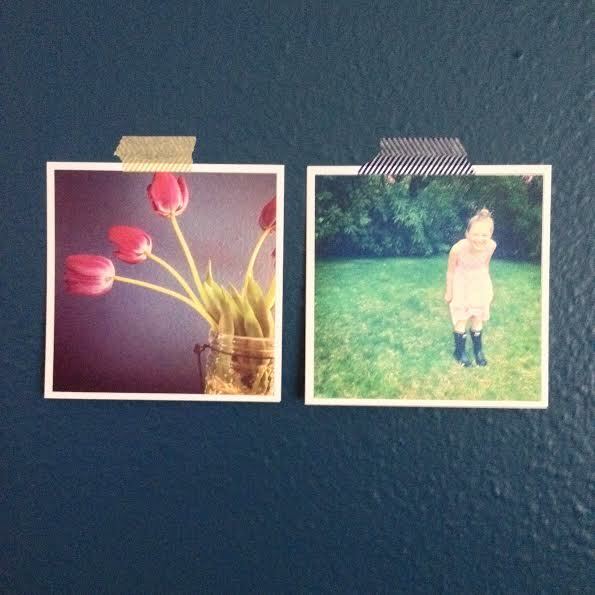 As an alternative, I’m going to print some small sticker photos from Printstagram, which uses your Instagram photos. 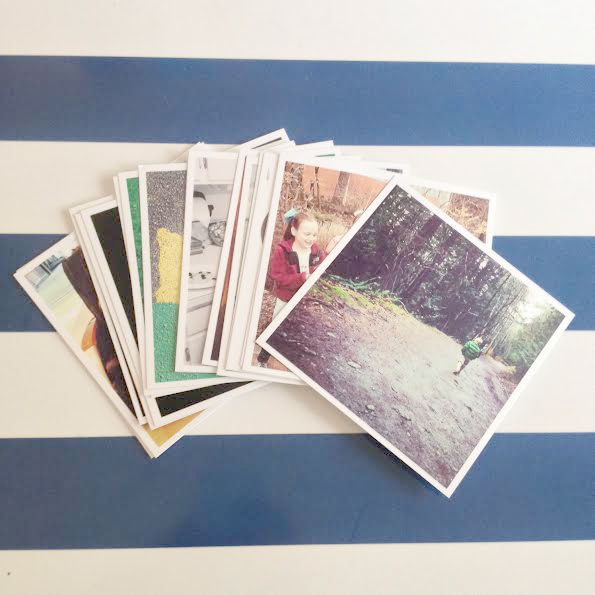 At $10 for 252 photo stickers, it’s a budget-friendly option, although it the tricky part will be figuring out which photos go with which dates! What do you use to keep memories for your family? Do you scrapbook? Blog? Journal? 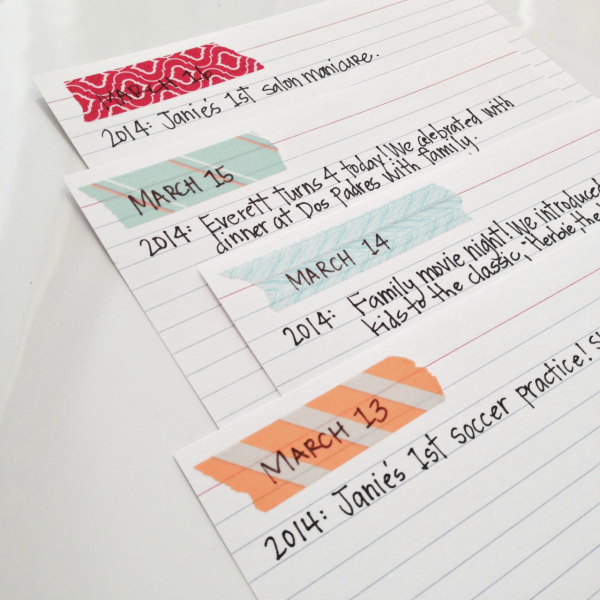 This entry was posted in Life, Make This and tagged 2014, Craft Ideas, Instagram, Michael's, Modern Parents Messy Kids, Printstagram, Target, Washi Tape on March 20, 2014 by Katie Kavulla.